Ogilvie Construction is among the first Scottish companies in the sector to have been awarded Investors in Young People (IIYP) accreditation. 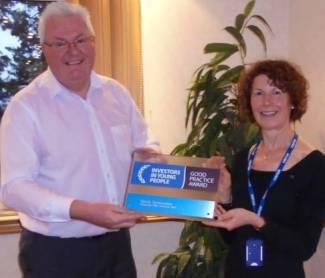 The award recognises Ogilvie’s commitment to recruiting, training and developing young people. 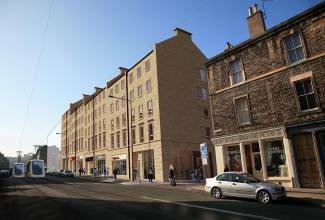 Ogilvie Construction has started work on a £24 million project to build two new student housing buildings for Ziggurat Student Living in central Edinburgh. Due for completion in 2015, the buildings are in Murano Place, which will provide 272 bedrooms and Shrubhill, which has accommodation for 260 students. The four storey buildings will incorporate public areas, as well as ground floor retail units. 14 students studying Architectural Technology at the City of Glasgow College for Built Environment got the chance of seeing what it’s really like to work on a live site. Ogilvie Construction, currently underway with the construction of the new 262 bedroom Student Accommodation in Collegelands offered assistance to the college by inviting the students to site giving them an insight to life in the construction industry. George Mackie has joined Ogilvie Construction as Commercial Director, enhancing the senior team as the company continues to deliver solid growth across its operations. George Mackie - joins Ogilvie Construction in Stirling. George will play key role at Ogilvie, overseeing estimating, pre-construction and surveying. He is a veteran of the Scottish construction sector with a proven track record of over 35 years in the business, the last 13 of which have been at boardroom level. Ogilvie Construction has a new look for 2015 after rebranding the business with a new corporate identity that builds on more than 60 years of success. 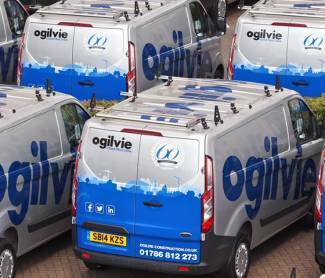 Ogilvie was founded in 1953 as a construction company and is one of the country’s most successful family-owned businesses, maintaining its position among Scotland’s leading building contractors. We are delighted to welcome our new group of Apprentices who have joined the Ogilvie Group. They are all based on various sites as well as attending their respective colleges. 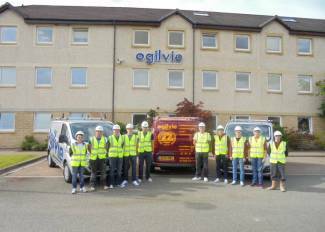 One of Scotland’s leading independent family owned businesses, Ogilvie Construction, has received a Gold Award from the Royal Society for the Prevention of Accidents (RoSPA) in this year’s Occupational Health & Safety Awards. As the UK’s family safety charity, RoSPA’s mission to save lives and reduce injuries covers all ages and stages of life. 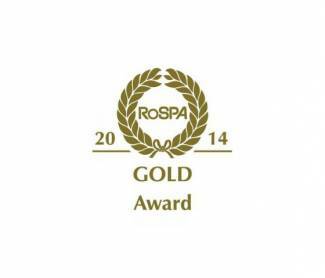 In support of this mission, the RoSPA Awards, which date back 58 years, recognise commitment to continuous improvement in accident and ill health prevention at work. The team from Ogilvie Construction were given a 150 year old surprise while working on a project to refurbish the Village Hall in Gartmore, Stirlingshire. A glass time capsule was found in in a specially constructed stone buttress at the base of the front elevation of the building. To the astonishment of the team on site it contained a ‘Groat’, or four pence piece, dating back to 1836, along with a sixpence dated 1844. Stirling based Ogilvie Construction has been awarded the contract to transform Cromlix, recently bought by tennis champion Andy Murray, into a luxury five star venue. 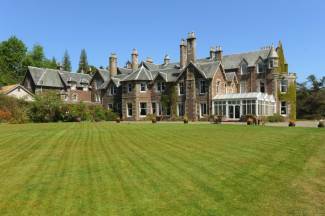 Ogilvie has already started the extensive refurbishment of the listed Victorian mansion, which will create a 15 room exclusive hotel, set in 34 acres of countryside five miles outside Dunblane. It is scheduled to reopen next Spring. 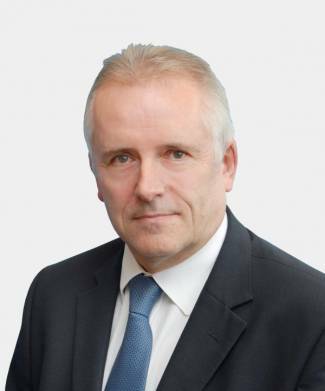 Ogilvie Group has appointed Phil McEwan as Executive Chairman to succeed John Berry, who will step down at the end of June after six years in the role in a non-executive capacity. Phil has been Managing Director of Ogilvie Construction for 16 years, during which time he has successfully led the business to become one of the leading construction companies in Scotland. Donald MacDonald, currently Surveying Director of Construction, will take over as Managing Director of the construction business and also join the Ogilvie Group Board.